It is important to remember that each child will react differently, and you need to explain the death to them in concrete ways that will help them understand precisely what has happened. Below are some more ways to help children cope with their loss. Allow them to say goodbye. This is an essential start to the grieving process. This can be done by holding a service, which allows them to see their loved one and shows them how much of an impact they made on everyone’s lives. It’s also important to let them decide if they want to attend the funeral. Give them all the information, including when it is, where it is, and what is going to happen. If they choose not to go, give them the option to create their own ritual or goodbye. Examples include having a candle-lighting ceremony or planting a flower or tree. Children should still be able to feel connected to the deceased parent as well as the living one. To make this possible, try to provide them with these helpful things. They need easy to understand and adequate information on how their parent died, as well as reassurance that it wasn’t because of them or that they are not to blame. Make sure to listen to them and try to understand their fears and anxiety. Provide them with opportunities to remember their parent, which can include involvement and inclusion in anniversaries as well as letting them hold on to keepsakes. It’s also helpful to talk about the deceased and remember stories from when they were alive, making sure to bring up their name, so the child knows it is okay to talk about them. Children need to know that they can talk to you if, and when, they’re ready. Let them explain how they feel without judging, explaining, or trying to fix it. Don’t use phrases such as “I know how you feel,” instead try open-ended questions such as “How does that make you feel?” or “What is that like for you?” Children are more likely to answer these questions if they don’t feel pressured to respond a certain way. 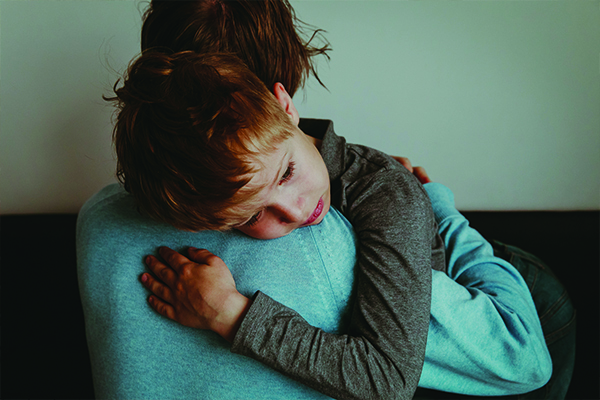 A few other ways to help support children through grief can include making a memory box of keepsakes, photos, or items that remind them of that parent, having pictures available for them to look at whenever they want to, and making a photo album and allowing them to choose the photos and how to decorate the album however they wish. A Barnes and Noble book list of books to help a child cope with loss. The National Center for Grieving Children and Families website.